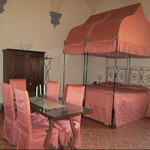 The Contucci family’s first guest apartment takes its name from the two enormous 18th-century four-poster beds in the middle of the room. 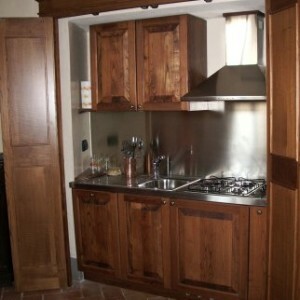 Alongside the elegant and carefully restored period furniture are set a handy cooking corner and a satellite TV, so as to enjoy of this return to the Renaissance in comfort. 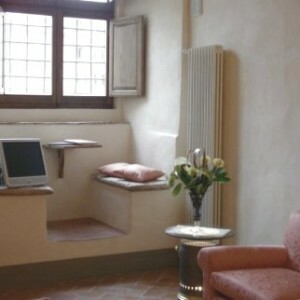 Apartment for two people with small kitchen, private bathroom, parking place and wi fi. The apartment costs for 1 night 120,00 euro (for two people). 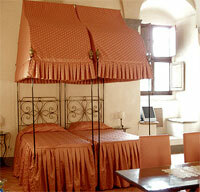 From two nights stay the cost is 100,00 euro per night (for two people). 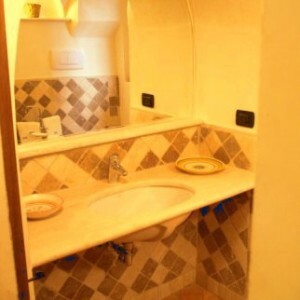 Prices include electricity, hot water and heating, as well as both a weekly and end-of-stay cleaning service. 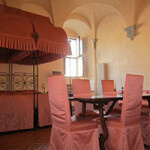 As of February 2012 the city council of Montepulciano levies a non–resident sojourn tax of €2,00 per person, per night. Children under 12, a single person accompanying a patient hospitalized in the area, or up to two people accompanying children under 18 hospitalized in the area, are exempt. This tax is to be paid in CASH on departure.